To arrange for a private lesson, you may fill out the private lesson request form and return it to our office. We will pass your information on to the instructor that is best able to assist you. If you wish to request a specific instructor, please indicate this by including their name on the request. Troy Adams ($30) Troy played his Youth-Junior hockey in Detroit. 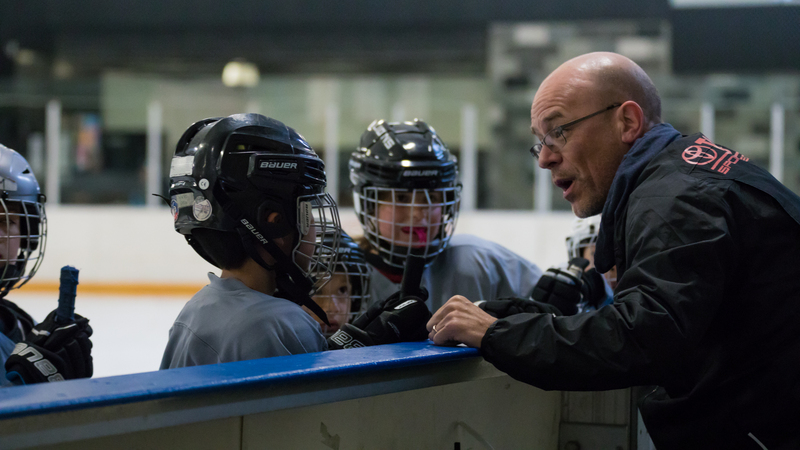 He is a level 4 Advanced USA hockey certified coach with 25 years coaching including over fifty tournament championships, three state championships, and a 3rd at Nationals. He coaches all levels Mites thru Midget AAA. 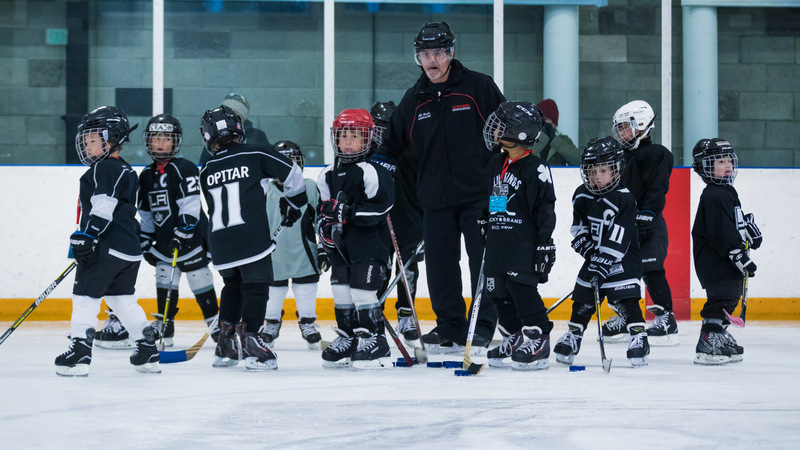 He has been an instructor at over 100 hockey camps for Turcotte, Heart Land, and Christensen hockey school as an all-skills instructor. Dominique Beaudoin ($30) Dominique has 30 years of experience teaching power skating, coaching high school hockey. He is a Level 5 (Master) in the in USA Hockey coaching program. Kevin Caprioglio ($20) Kevin has 14 years of hockey experience. He has played at the AAA level across the nation and across British Columbia. Kevin has a high understanding of skating dynamics. Focuses on working with athletes with a positive attitude and are motivated on the ice. Mark Faulkner ($20) Played in-house ice hockey from 2000-2003 at TSC. Played Junior Kings from 2003-2009. 2 years each of Bantam A, Midget 16A, and Midget 18A at TSC. Played Roller Hockey from 1998-2002 at Torrance Skate Association. Has been to 2 summer ice hockey camps in Toronto, Canada - 2004, and in Brainerd, Minnesota - 2005. James Gasseau $50/30 min Over 25 years of experience as a professional coach & instructor for all age levels. 3-time AAA National Championship Coach and TSC Youth Hockey Director. 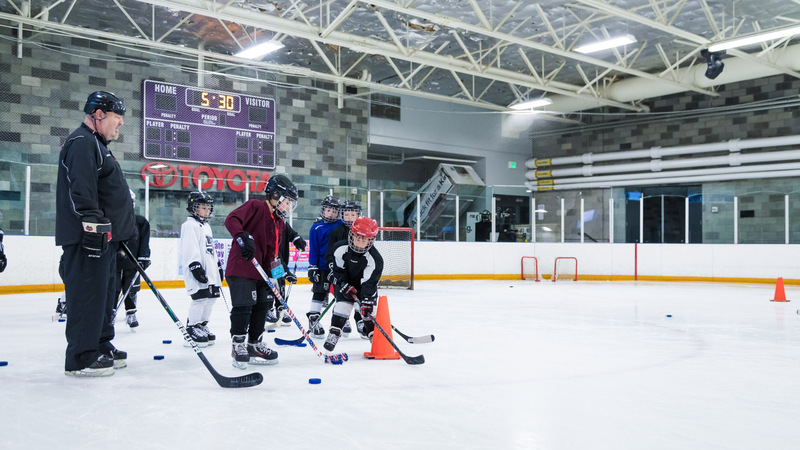 Specializing in individual skills, skating, stick handling, shooting and passing. Erik Lektorp ($35/20 min) Erik has more than 30 years hockey experience, playing and coaching both professionally in Sweden. 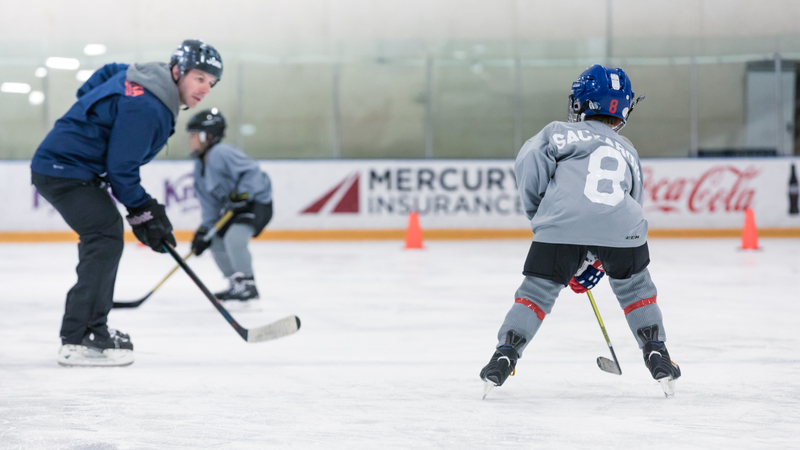 Throughout his career he has coached juniors and men’s hockey, as well as several women’s hockey teams, including running skill development camps for prospective and current NHL players. He is now a head coach with the Jr. Kings organization. Erik specializes in player development, building individual skills including skating, power skating, edge control, core/balance training, stick handling, passing/shooting as well as off ice training. Saori Minami ($35) 13 years of competitive experience. Gold Medalist in the Japanese Figure Skating Federation as well as National Competitor. Coaches all levels & ages. Coach Mark has over 15 years experience as a hockey coach and skating instructor. 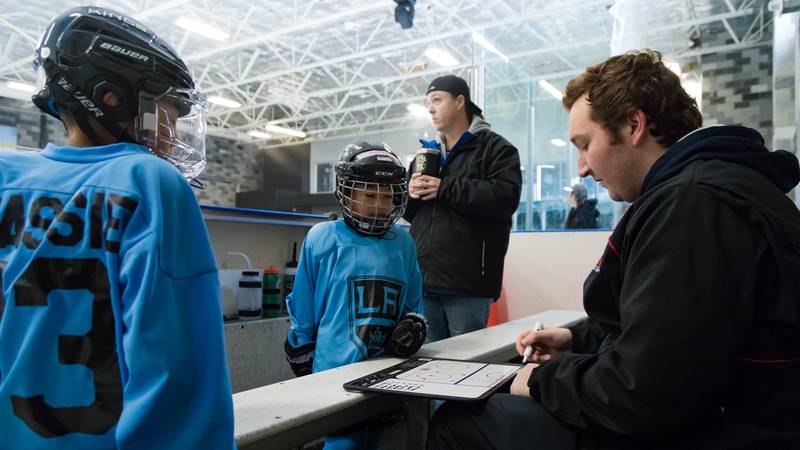 He coaches all levels and age groups from Mites to Adults. He's an Advanced Level 4 USA Hockey certified coach. Coach Mark played high school and college hockey. He specializes in teamwork and all individual hockey and skating skills. His goal is to make better hockey players and solid citizens and have fun doing it. Contact Mark today to get started! Fernando Rivera ($27) Over 10 years experience as a hockey instructor. Head coach for teams that have been SCAHA Champions, as well as USA Hockey Pacific District Regional Champions. Advanced Level Certification from the USA Hockey Coaching Education Program and National Finalist. 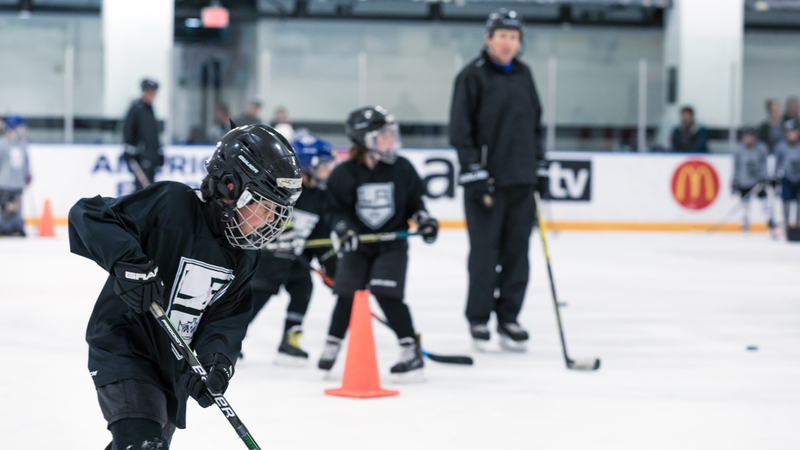 LA Kings Girls Elite Camp is perfect for all skill levels and designed to help players improve on all aspects of their game.